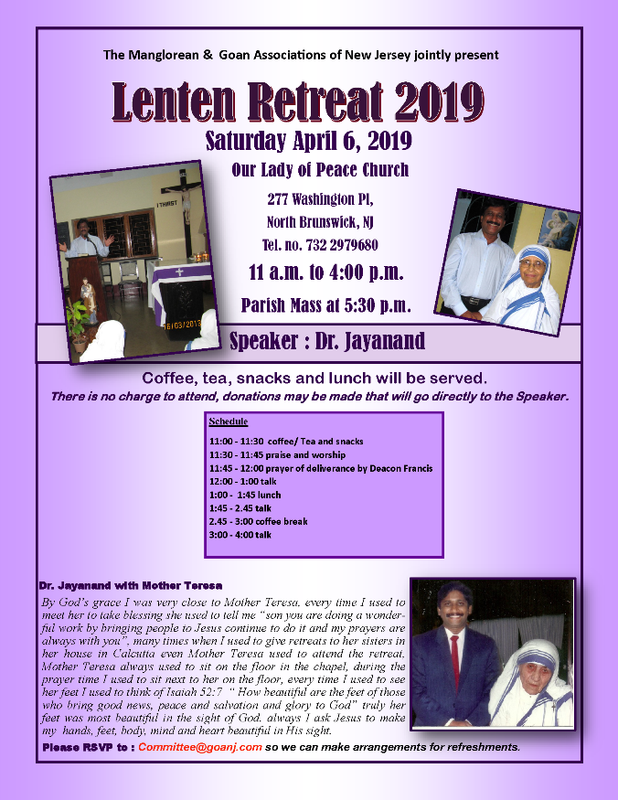 LENTEN RETREAT & HEALING SERVICE BY DR. JAYANAND ON APRIL 6, 2019. 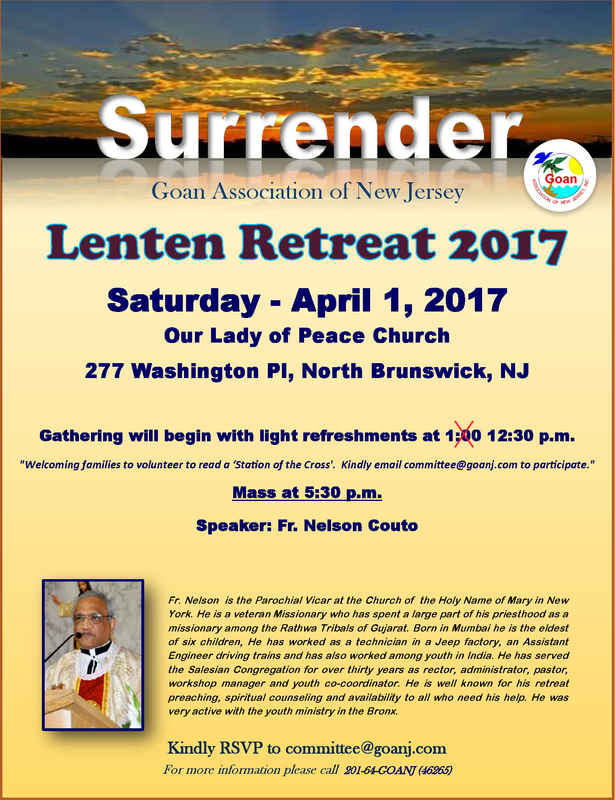 The MCA-EC and the Goan Association of New Jersey are organizing a Lenten Retreat at Our Lady of Peace Church, North Brunswick, New Jersey. 11.30 to 11.45 – Praise & Worship. 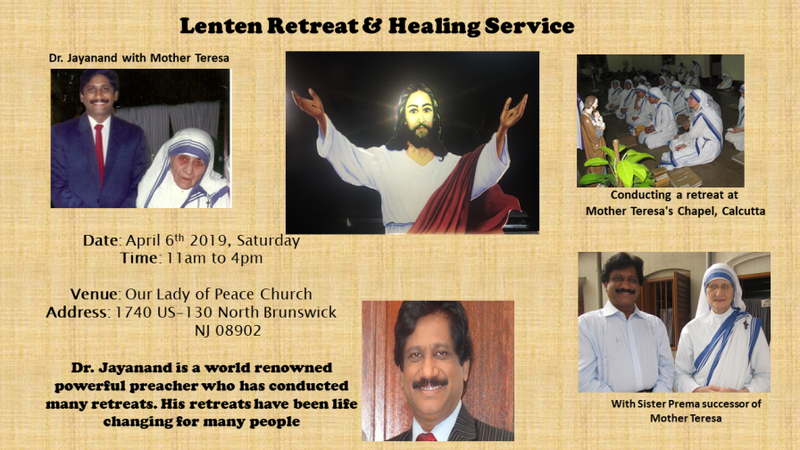 11.45 to 12.00 – Prayer of deliverance by Deacon Francis. 3.00 to 4.00 – Talk. Parish Mass in the church is at 5:30 pm. Please refer to attached flyers for further details. All are welcome to attend, please share this with your family, friends and relatives. FREE : Breakfast, Lunch and evening coffee/tea/snacks.